The business argument for the Ducati XDiavel is a simple one. Harley-Davidson accounts for roughly one-in-two of every new bikes sold in the United States each year, and the American company sells roughly 95,000 units abroad. That is big business being done with machines that are not known for their reliability, performance, or technology – a contradiction and a quagmire, all rolled into one. This makes Harley-Davidson’s market a tough one to crack – something that the Japanese brands have learned the hard way. While Victory positions itself as the antithesis to Harley-Davidson, Indian – another Polaris-owned company – is going head-to-head with the Bar & Shield brand, with some success. 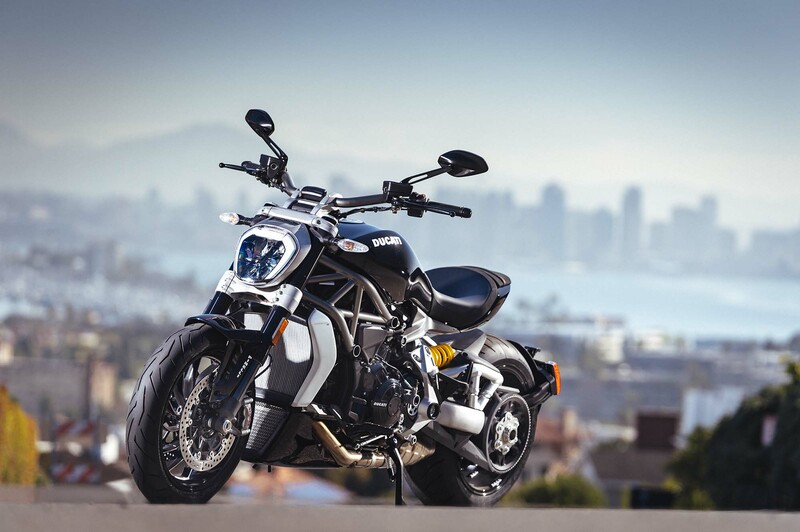 Ducati wants a piece of this action too, and while the Italian company already has the Diavel in its arsenal, the market response to it admittedly hasn’t been enough to raise any eyebrows in Milwaukee. Enter the Ducati XDiavel. 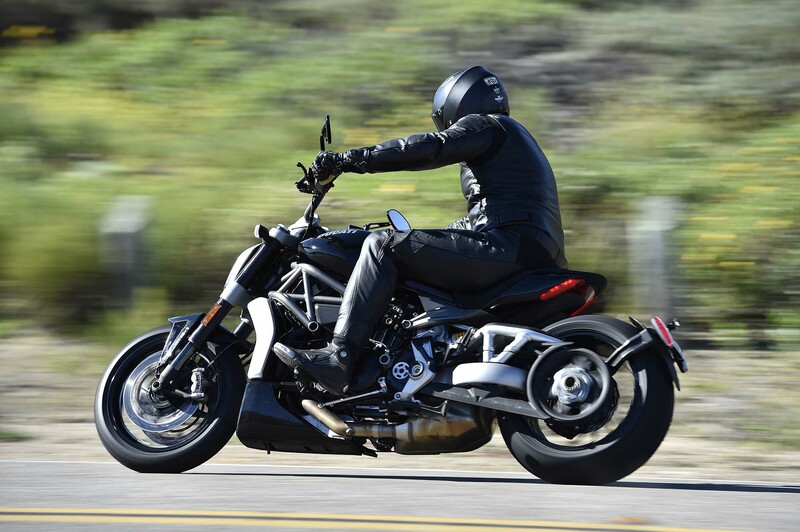 I will directly address the differences between the XDiavel and Diavel later in this article, but suffice it to say that the XDiavel attempts to capture more of Harley-Davidson’s certain je ne sais quoi through its design, purpose, and message than the Diavel ever achieved. 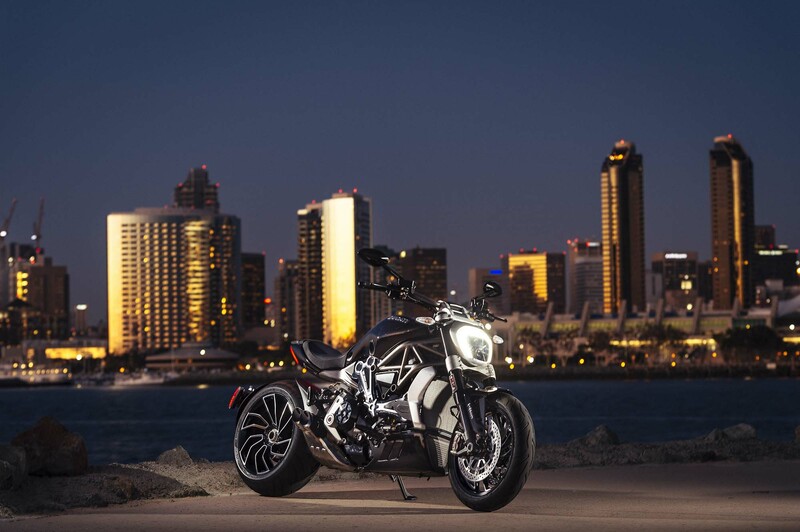 The Ducati XDiavel is the Diavel’s flashier marketing-driven cousin, which focuses on making sure you get noticed when you arrive at your destination. It should be noted too, that in order to compete better with the Cult of Harley, Ducati too has positioned the XDiavel into a quasi-brand of its own. Ducati hasn’t set up the XDiavel as a sub-brand, like it has done with the Scrambler line of motorcycles, but the XDiavel marketing stands apart in message and feel from the rest of the Ducati line. The idea here is to provide a machine that the loyal cruiser tribe will recognize as their own, and then be stunned when they realize that Ducati added the most brutal performance possible to the recipe. If the mission is to make an impression at a red light, and leave that impression in the dust once the light turns green; then in that regard, Ducati has excelled remarkably well. 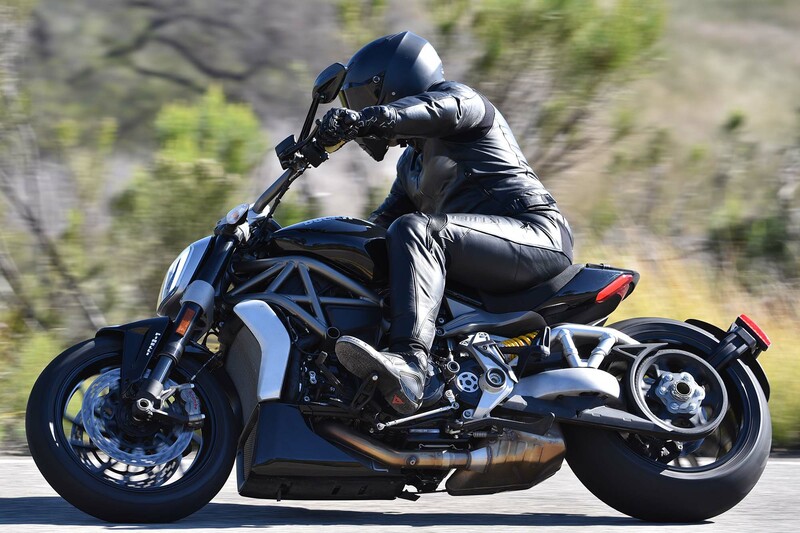 Walking up to the Ducati XDiavel for the first time, you can see the lines of its purpose – Ducati’s designers have done a good job of creating a motorcycle that speaks fluent Harley-Davidson, but with a thick Italian accent. 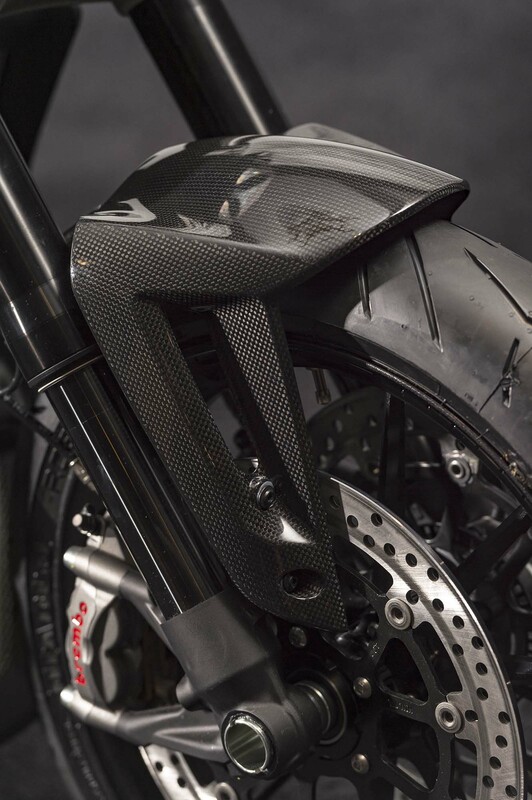 You can also easily see the bike’s lineage, with enough visual cues to connect the XDiavel to its predecessor. The profile of the XDiavel reminds me of a raging bull. Even when it is standing still, the Ducati XDiavel looks like it is going full speed ahead, horns ready to ram through anything that may be in front of it. With 156hp and 96 lbs•ft of torque at 5,000 rpm, the XDiavel has the performance sheet to back up that impression. A simple twist of the throttle affirms what the numbers are telling us. 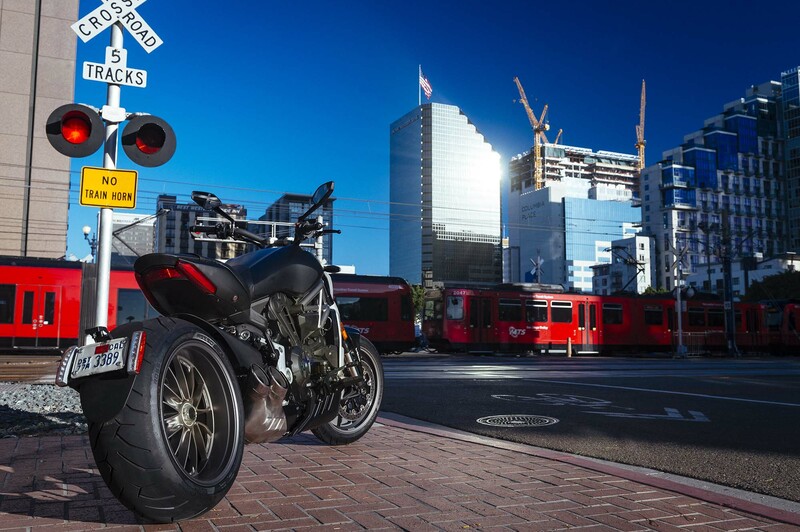 A bike of two thoughts, the Ducati-esque appearance of the XDiavel is highlighted by its single-sided swingarm, steel trellis frame, and top-shelf pieces like Brembo brakes. 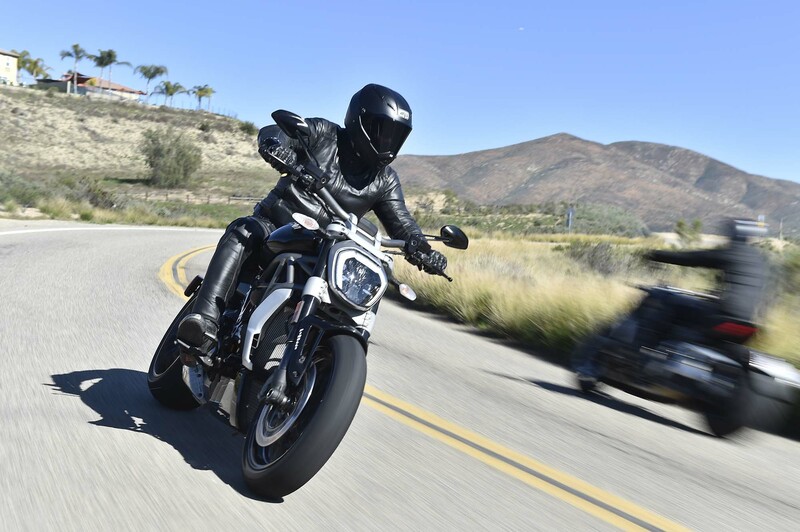 But, the Italian brand has also gone out of its way to make the XDiavel fit the mold that cruiser riders expect. 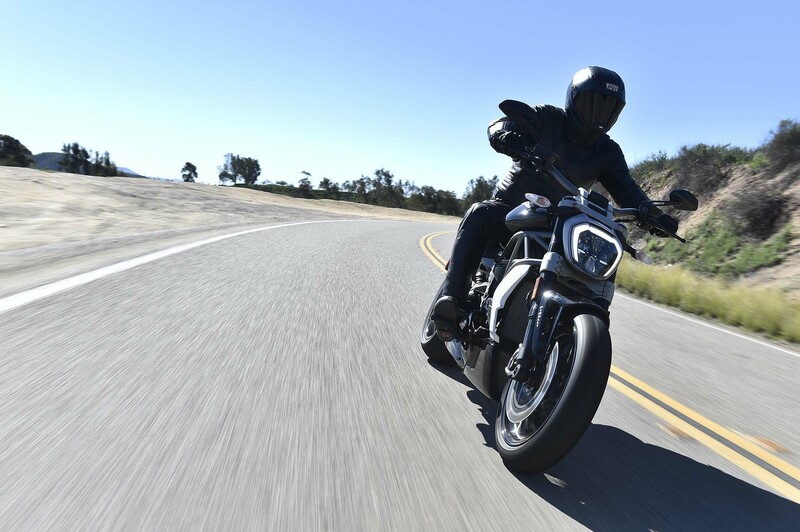 As such, the XDiavel has a belt drive, a large and elongated fuel tank, forward controls, and a raked-out front-end. The balance between sport and cruiser, Italy and America, and red and black is well threaded. To this, Ducati’s design team deserves some kudos. 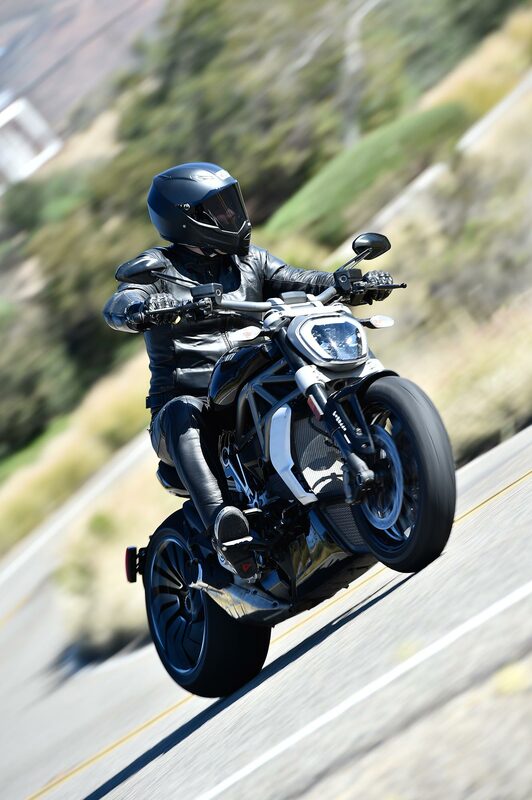 In addition to this, Ducati has built the XDiavel to be highly customizable, another strong decision that encourages freshly minted owners not only to peruse the Ducati parts catalog, but also fuels the individualistic needs and tendencies that permeates throughout the cruiser market. For this demographic, it is important to show up to a bike rally on the right motorcycle (presumably the same one as everyone else), but it is also important to make sure that your stead has been adequately personalized to stand out from the crowd. Such is the general contradiction that comes with motorcycle cliques. A Two-Wheeled Rocket, But Does It Corner? 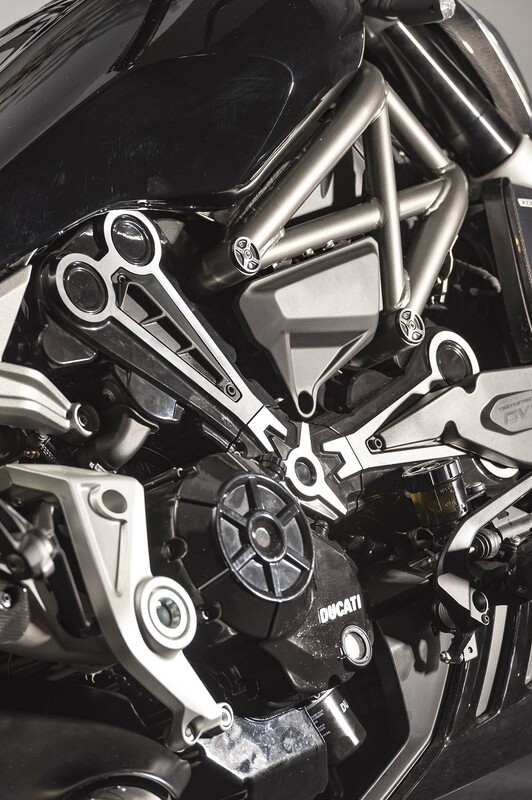 The Testastretta DVT 1262 engine, as Ducati calls the XDiavel’s 1,262cc v-twin power plant with its variable valve timing, is perhaps the best engine in Ducati’s lineup – and yes, I include the 205hp Superquadro engine from the Ducati 1299 Panigale in that statement. Both trim levels of the Ducati XDiavel make a tire-shredding 156hp – more than enough for any bike that is living on public roads. But, the real coup de grâce is the Testastretta DVT 1262 engine’s 95 lbs•ft of torque, which comes online at a mere 5,000 rpm. All of this makes for street legal rocket ship – one that has real world usable power. Spec-sheet racers be damned, the Ducati XDiavel is winning the performance cruiser market when it comes to brawn. This bike begs you to let it scream out of a turn, onto a long straight. 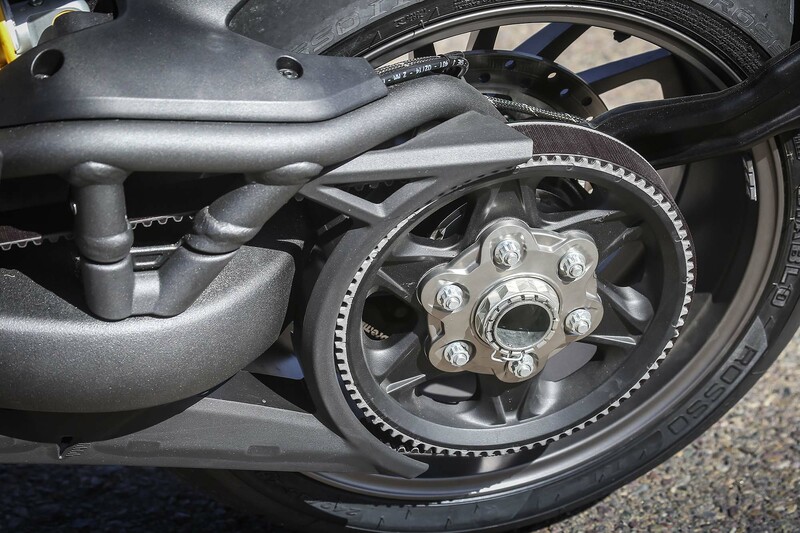 Ducati was smart then to equip the XDiavel with a set of the Brembo M4-32 calipers up front. 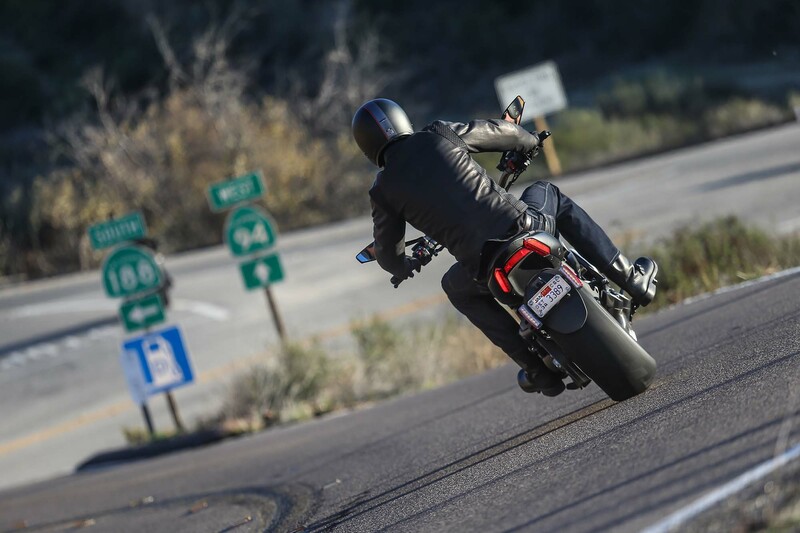 The brakes bite hard, and help reel in the Ducati XDiavel from any over application of the throttle, for which the bike constantly pushes you to test. Coupled with Pirelli Diablo Rossi II tires, and the whole platform feels very stable, both on braking and acceleration. For as much of a beast as the XDiavel becomes when you twist its ride-by-wire throttle, the inclusion of desmodromic variable timing (DVT) means that the XDiavel still has some table manners, and that the Testastretta DVT 1262 engine is amazingly streetable, despite contrary indications you might have from the quoted power figures. Adding to this civility is the fact that Ducati has brought its full electronics suite to the XDiavel, complete with an inertial measurement unit (IMU), traction control (DTC), push-button launch control (DPL), cornering ABS from Bosch, cruise control, and ride-by-wire with different throttle maps. All of this makes for a bike that is mostly adept at playing the roles of Dr. Jekyll and Mr. Hyde – a duality that Ducati has perfected on other machines in its line, most notably on the Multistrada 1200. In that same breath though, I must say that I do have a gripe with the low-speed throttle inputs on the XDiavel, as it is easy to catch the machine asleep at the switch wheel tooling around under 25 mph. This seems to be a problem shared by all of Ducati DVT-enabled engines, though I could only hazard a guess that the issue resides somewhere between the variable valves, ride-by-wire throttle, and engine map setting. The current generation Multistrada 1200 was updated to address a similar issue, it seems there is still some improvement left for Ducati to make, as it applies to the XDiavel. Of course, the rub with any cruiser-styled motorcycle is the chassis, as the long and low aesthetic does not avail itself to the basic principles of physics. 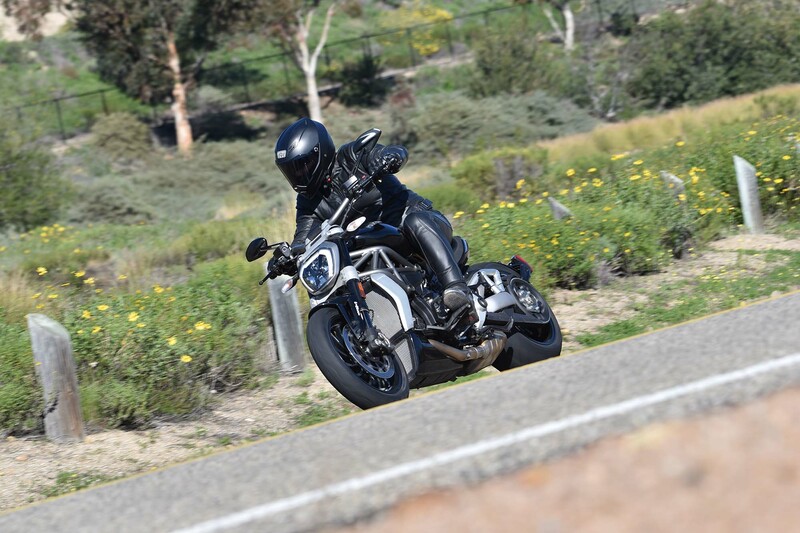 In this regard, one has to be critical of the Ducati XDiavel, in either trim level. The 30° rake and 120mm trail makes for a motorcycle that by our standards gives vague feeling back to the rider, and aggressive riders will notice that bike pushes back with understeer the farther you lean it over. This is a strange thing to report, because otherwise the XDiavel feels light to the touch in its balance, which makes for a strange way to highlight the differences between the transitional weight of the motorcycle versus the rate of turn from the chassis. Because of this, the front-end of the Ducati XDiavel isn’t confidence inspiring, and the forward controls layout only exacerbates that feeling more for the rider by removing the points of contact with the machine, and thus the points of haptic feedback, that many riders are accustomed to using. Compounding the issue is the relatively short wheel travel (4.72″ in the front, 4.33″ in the rear), which leaves your body taking the brunt of the roads dips and bumps. 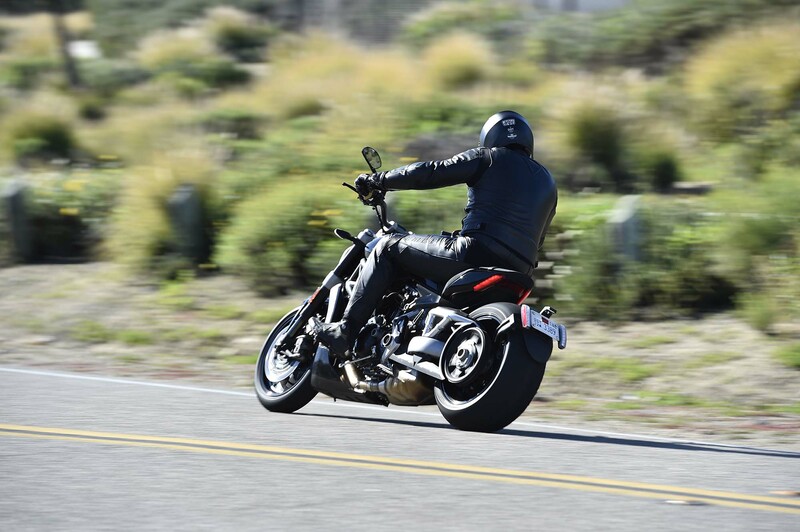 It doesn’t take long to realize that your lower back acts as the XDiavel’s second set of suspension. This forward-control design is what stands the XDiavel apart from anything else in Ducati’s lineup, and for the first time takes the Italian brand deep into Harley-Davidson space. This means a step away from the practical, however. For the rider, this means a long reach the handlebars – longer than what I would prefer, even with my long torso and 6’2″ frame. I can only imagine how this would affect riders of a smaller stature. 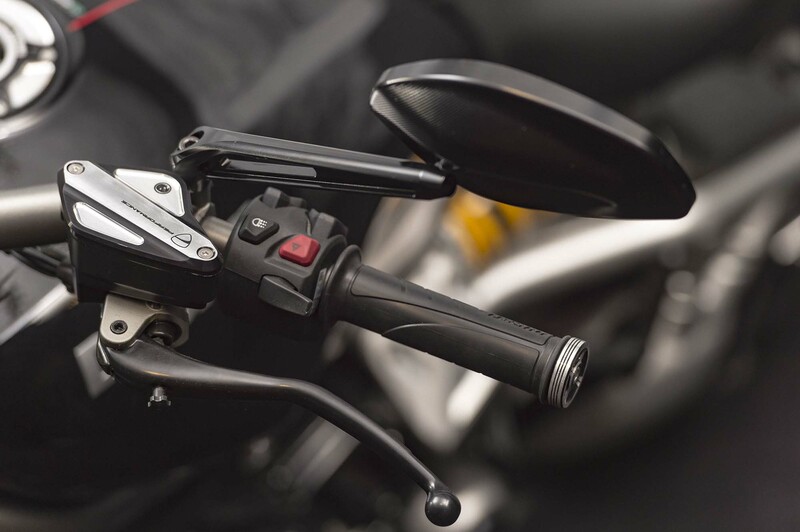 Thankfully though, the foot controls have three positions out of the box (we tested the XDiavel with the foot pegs in the middle position), and the Ducati catalog offers parts that can bring the foot pegs nearly to a normal riding position. So, there is some room for adjustment, and thus room for appeasement. 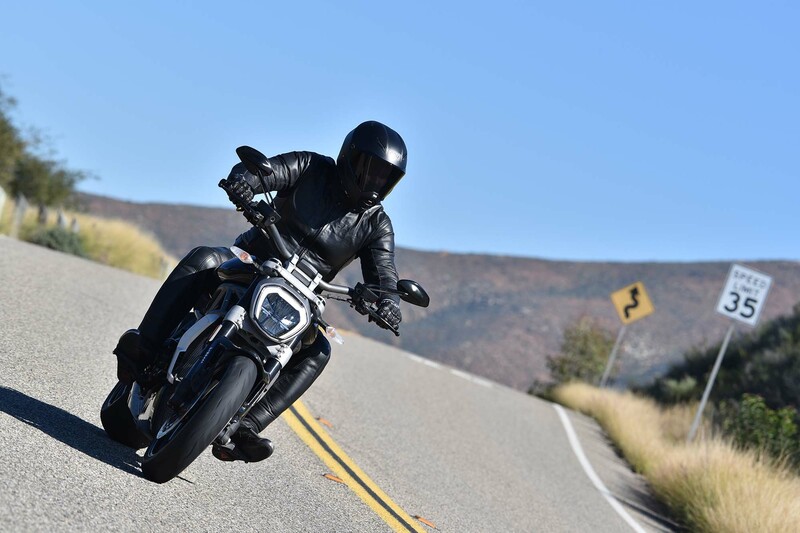 Because of this arms out, legs out, riding position, a great deal of the rider’s weight is supported by the XDiavel’s seat, as I mentioned already. As such, sore legs and backs occur after only moderate ride distances. The seat itself is actually quite plush, but it is just an impossible task to support the bulk of a rider’s…umm…bulk, solely through their posterior. Also of note is the amount of engine buzz the permeates through the motorcycle, throughout the entire rev range. This buzz doesn’t just affect your hands on the handlebars – it can be felt in the seat, and on the pegs as well. Longer rides found my hands, feet, and posterior all numb from the vibrations and riding posture. 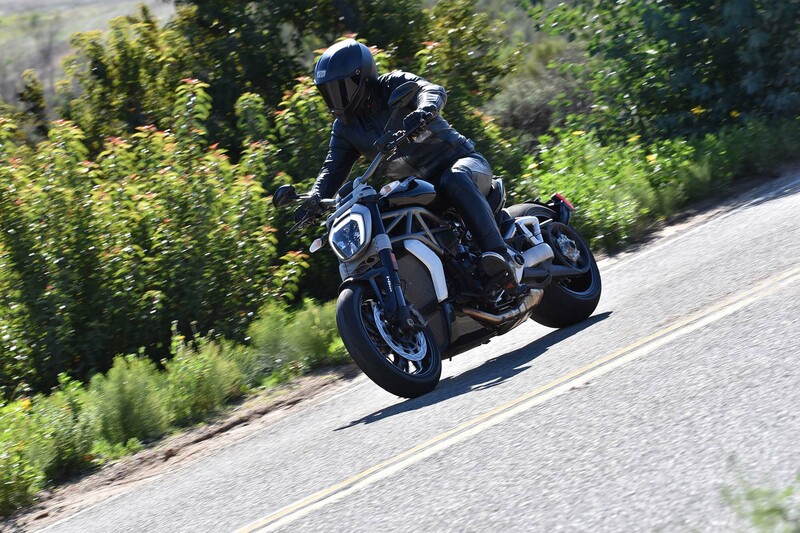 As such, it is a good thing that the Ducati XDiavel is meant mostly for city riding, as the motorcycle is easily the least comfortable in the Italian company’s stable. But as a colleague reminded me, as you don’t complain about the price of a Rolls Royce; so too, should one not complain about a cruiser’s ergonomics – at least, not with any sort of astonishment. With some changes to the handlebars and foot controls, I could see the Ducati XDiavel making for a better highway machine, one even capable of crushing some serious miles. But out of the box, this bike evokes the Ducati “torture racks” of yore. 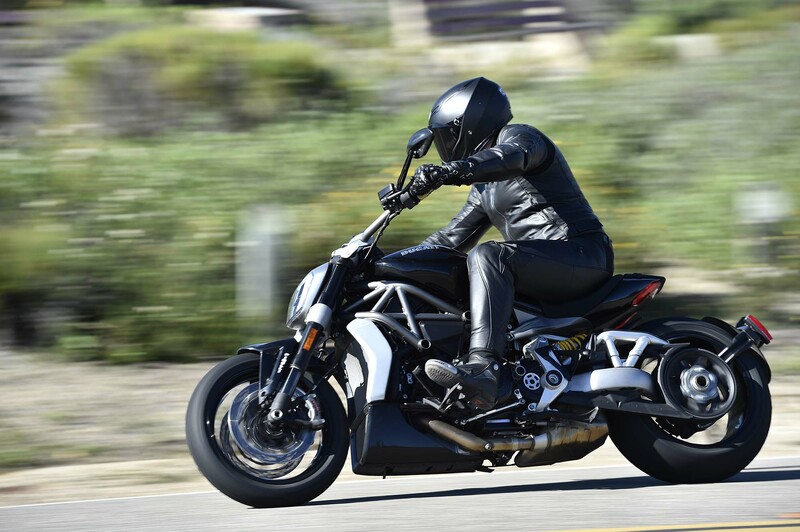 Perhaps the hardest thing to wrap one’s head around, when it comes to the Ducati XDiavel, is the fact that Ducati already has a cruiser in its lineup, the Ducati Diavel. On paper, and even perhaps at first glance, these two machines appear to have quite a bit of overlap. 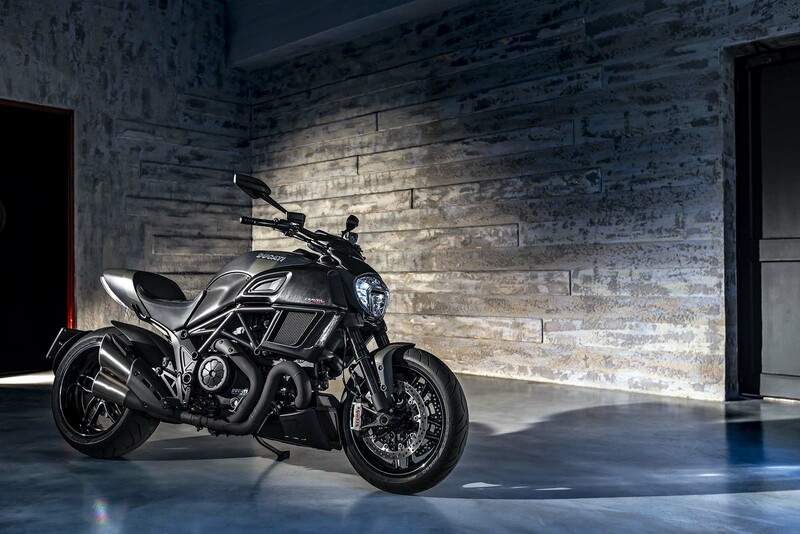 As such, you would not have been misguided to think that the XDiavel was replacing the Diavel as Ducati’s performance cruiser offering, with one bike giving way to the next. Instead, Ducati has kept both bikes in its arsenal, and when you ride them back-to-back, it is easy to see why. Boiled down to their cores, the XDiavel and Diavel approach the same idea from opposite ends of the spectrum. The Ducati Diavel is a sport bike first, made to be ridden fast and hard. In it, Ducati has been able to translate its racing knowledge, and performance-focused mantra, to create a cruiser-looking bike that can embarrass any unsuspecting canyon-carver. 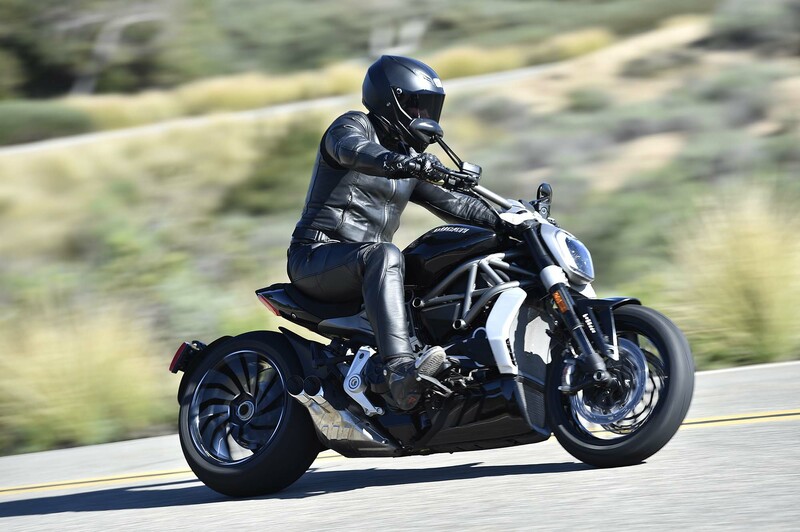 For as much as the premise of a performance cruiser may not tug at the heartstrings for embattled sport bikers, once on the Diavel, the preconceptions about a Ducati cruiser go out the window. 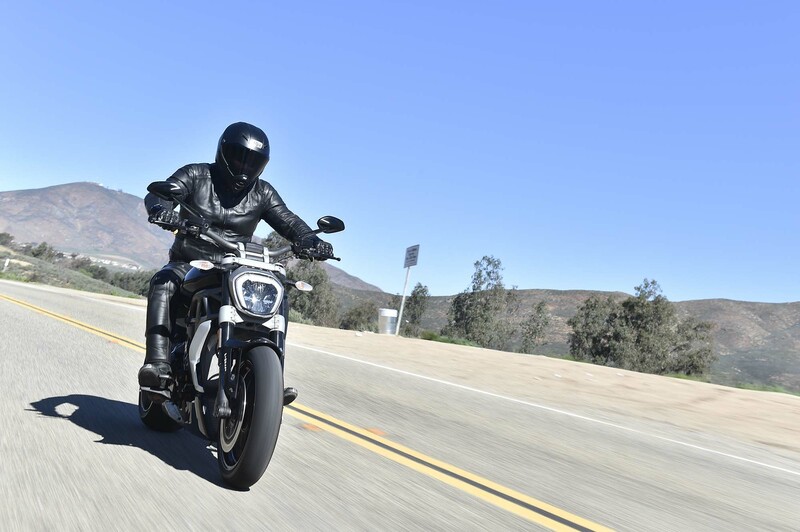 The Ducati Diavel is a powerful sport bike, in a cruiser’s clothing. 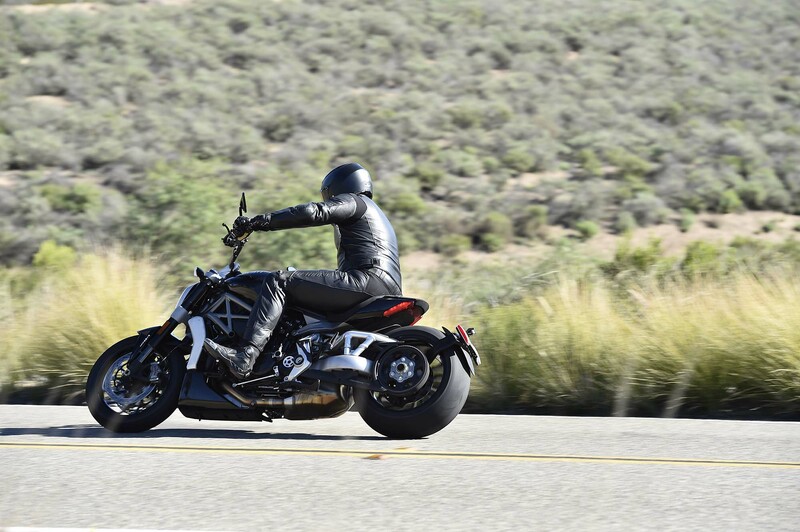 Conversely, the XDiavel is a true motorcycle built for cruising – in the Harley-Davidson sense of the word – just with a different logo on the fuel tank from what we are used to seeing, and a proper engine to power it. As such, the Ducati XDiavel is built to be powerful and loud, both figuratively and literally. Ducati’s tagline for the XDiavel is “low-speed performance” – a nod to the machine’s intended urban use. The urban gridiron, not the country road, is where the Ducati XDiavel feels most at home. 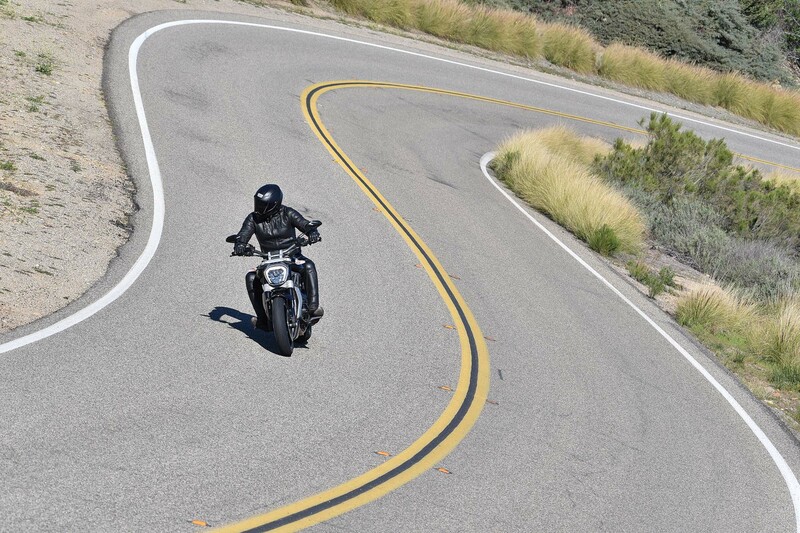 This means that the XDiavel is better suited racing from stoplight to stoplight, than it is racing from one turn to the next, though it is by no means inept when it comes to carving corners. 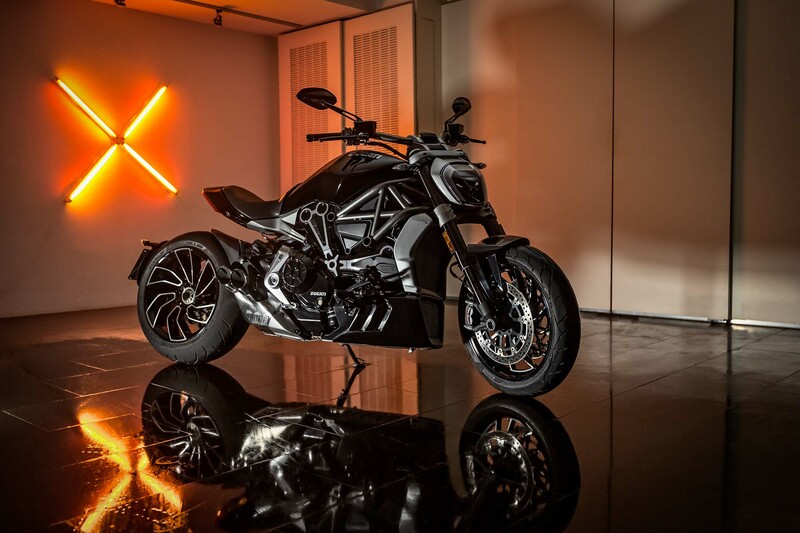 I don’t think sport-focused riders are going to miss the XDiavel’s superior power, if they do end up getting a Diavel instead – although make no qualms about the fact that the XDiavel is the superior machine in this regard. The Ducati Diavel’s performance platform feels very similar to the XDiavel – but it should though, with the big differences between the two bikes being where in the rev-range they make their power. 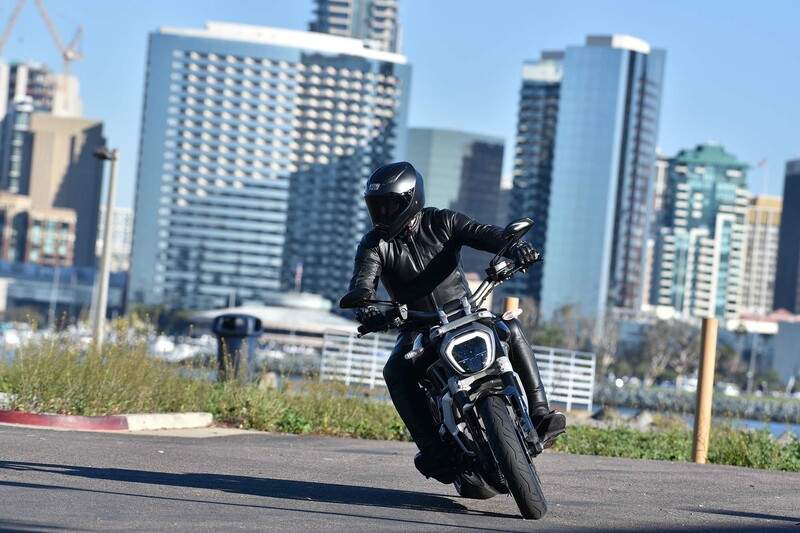 The question, therefore, regarding which bike to get between the XDiavel and Diavel should boil down to what kind of riding one wants to enjoy on their motorcycle. If sport riding is the activity of choice, then the Ducati Diavel is by far the better machine, with its ample power and superb chassis. However, if one wants to cruise through the city streets, and treat each stoplight like a drag racer’s Christmas tree, the obvious choice is the XDiavel with its low-end grunt, casual riding posture, and don’t forget, launch control. 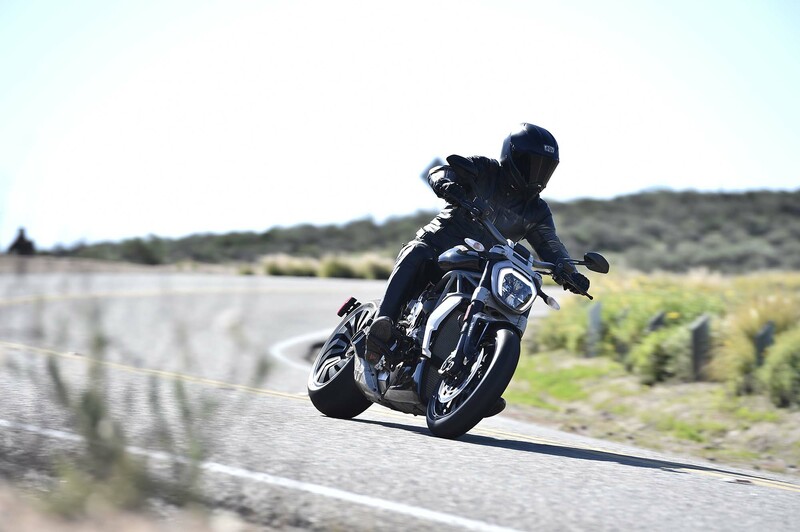 Sport bike owners, including loyal Ducatisti will feel more at home on the Diavel, while the XDiavel aims to appeal to those who may be coming from outside of the Italian brand. This might make some loyal Ducati owners a bit uncomfortable. For a sport rider like me, my choice is almost always going to go to the Diavel if both bikes are in my garage. There is nothing about forward controls that appeals to me, and the raked out handling of the XDiavel bothers me on a level that can only be described as a sport biker’s OCD. I have to remember though, that Ducati already built a cruiser for me, and that the Ducati XDiavel is for a different demographic. To that end, how could you pick a different – true – cruiser over the Ducati XDiavel? It has all the electronic wiz-bang gizmos that can possibly trickle down from a MotoGP race bike. It has a motor that is an absolute beast from full-stop to 100 mph. By cruiser standards, it handles better than anything coming out from the USA. Even with its $19,995 price tag ($22,995 for the XDiavel S), the Ducati XDiavel compares well on MSRP to its closest American competition. If you are in the market for a Harley-Davidson, Ducati has made it very hard not to consider the XDiavel before you go to the Bar & Shield brand. I honestly can’t think of a rational reason why you would chose another bike over the Ducati XDiavel if the cruiser style speaks to you. 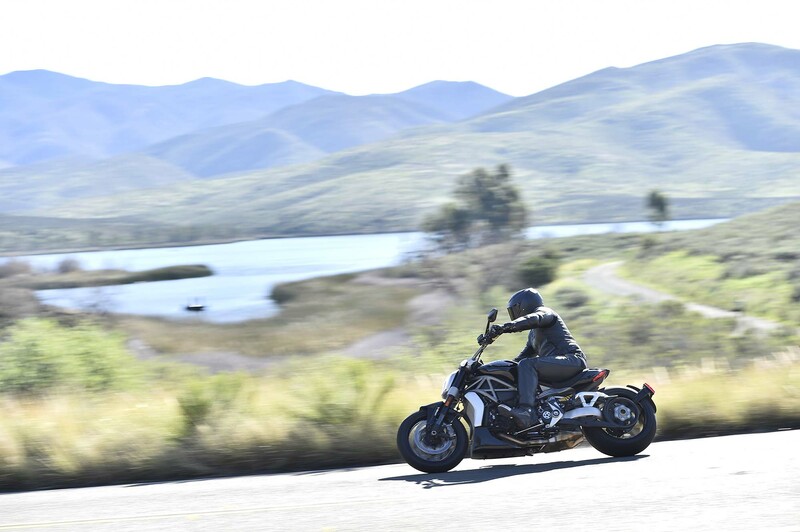 The XDiavel is not without its faults, but it is the most complete package, and it raises the bar in the cruiser category to a whole new level. If you’ve been waiting for the “but” in all this, well…here it comes. There is really only a single deal-breaking criticism that one can make about the Ducati XDiavel, for its intended market, it is that the bike comes from the wrong brand. Still to this day, the hardest nut to crack about the Harley-Davidson market is the resistance of its riders to anything that doesn’t have the Bar & Shield logo on its fuel tank…and there really is no getting around that fact. Again, that’s a tall mountain to climb.